Even though English is becoming the most commonly spoken language the world over, there are still large chunks of the world population that prefers their native language. People in China especially often speak in their native language. 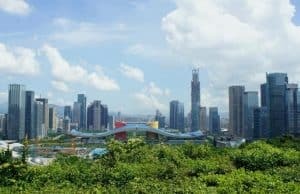 So, if you are visiting Shenzhen in China for a holiday or a business trip, hiring the services of a professional Shenzhen interpreter will greatly help you to make your stay more comfortable. Let’s cut to the chase! My name is Selina Chen and you can visit my website My China Interpreter. My website provides a one-stop solution for all your needs and meets the above mentioned criteria perfectly. I am a Chinese to English interpreter and have 7 years of experience in the field and have traveled extensively through the length and breadth of the country. I’m familiar with the local hot spots in almost every city. I am extremely capable of planning your travel itinerary well, encompassing the best places to eat, sights to see and places to stay. In 2008, I majored in English and my rich experience has greatly improved my English speaking skills. Being capable of speaking in various English accents. My effectiveness as a Shenzhen interpreter and Shenzhen tour guide can be established by the many positive reviews I have received from the clients over the past years. I am active blogger and you can read my blog to gain exciting information about the latest events in the region. Translator services in Shenzhen, Xiamen, Beijing, Shanghai, Guangzhou and other cities. Since I am knowledgeable of the cultural heritage, religion and various traditions of the region and will share intriguing facts of the local landscape. I can also arrange for ticket reservations, airport pick up and drop along. Also taking care of your hotel reservation keeping your budget in mind. I am an excellent shopping guide with impeccable taste and will help you bag the best deal by utilizing my Shenzhen interpreter skills. All travel is conducted in private bus, car or public transportation. One of the hurdles for tourists in Shenzhen is the language barrier and this is where my services are valuable. Not only can I be your personal tour guide but also double up as your business assistant. I have worked full time in many import and export companies and have gained necessary professional expertise. I have visited trade shows, whole sale markets, factories and other locations with my business clients and helped them by negotiating deals on their behalf. As a thorough professional who aims to making your stay in China memorable as possible, you can entail my services. Just fill out the “request a free quote” form available on my website. After filling out basic information like name, contact number, email address and the type of services you require, you have to request for a quote. My relaxed and easy going nature makes it a complete delight for customers to work with me. So the next time you are in need of a Shenzhen interpreter, do not forget to visit my website. To hire a Shenzhen interpreter just fill out the form on this page to request a free quote.